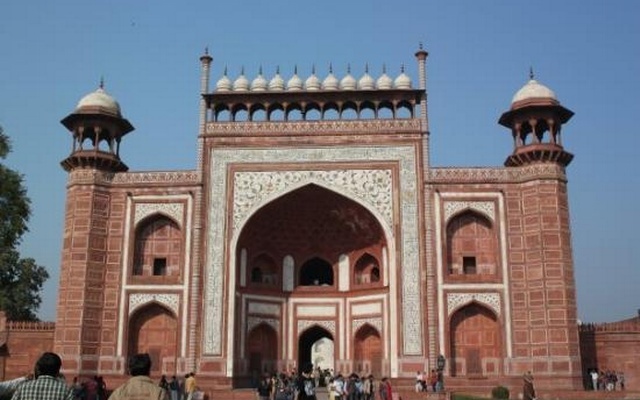 Agra, April 12 (ANI): The 12-feet pillar at the entry gate of the Taj Mahal referred to as Darwaza-e-Rauza, along with some stone minarets on the south, collapsed in the thunderstorm which saw winds at speeds over 130 km per hour. The Taj Mahal itself is in fine shape. 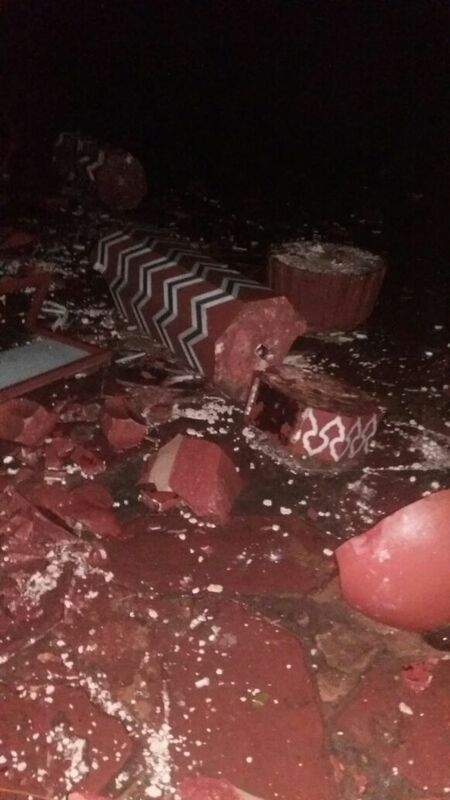 According to sources, the incident occurred around 7:30 pm when one of the minarets on the south gate fell off and one of the small white domes was hit. No official of the Archaeological Survey of India or ASI was available for comment despite several attempts, reported TOI. The damaged Darwaza-e-rauza, a 12-foot minaret with a metal finial is part of the main gate. It is from this royal gate that tourists get their first view of the 17th century ivory-white Mughal-era marble mausoleum, which is also an UNESCO World Heritage Site. Darwaza-e-rauza, the main gateway, is a monumental structure built primarily of marble, and reminiscent of the Mughal architecture of earlier emperors. Its archways mirror the shape of the tomb’s archways, and its pishtaq arches incorporate the calligraphy that decorates the tomb. One of the minarets of Taj Mahal was reportedly damaged in 2016. The ASI had then blamed monkeys for weakening it, though reports suggested the minarets might have been affected during cleaning work. The storm accompanied by heavy hailstones also uprooted several electricity poles and trees, killing four in Mathura and one in Bijnor.